Westport Country Playhouse will present a Script in Hand playreading of a new comedy thriller, “Murder Too,” by David Wiltse of Weston, former Westport Country Playhouse playwright-in-residence, on Monday, May 6, at 7 p.m. The cast includes Playhouse alumni David Beach, Joanna Gleason, Deirdre Madigan, and Andrew Veenstra. The reading will be directed by Anne Keefe, Playhouse associate artist and curator of the playreading series. Tickets are $20 each. Nutmeg Conservatory Founding Director Sharon Dante and Artistic Director Victoria Mazzarelli invite you to experience the joy of dance at The Nutmeg’s Dance Jubilee, May 16-18, 2019 on the Warner’s Main Stage. The Jubilee takes place over the esteemed ballet conservatory’s graduation weekend, and is the culminating event of not only the 2018-2019 dance season, but of the school’s first 49 seasons. The Western Connecticut State University Department of Theatre Arts will present “Crazy for You” from April 4-14 in the MainStage Theatre of the Visual and Performing Arts Center on the university’s Westside campus, 43 Lake Ave. Extension in Danbury. Curtain Call's final show of the season will be the 1984 Tony Award-winning musical, Big River. Based on the Mark Twain novel from 100 years earlier, "Huckleberry Finn", Big River won Tony Awards for Best Musical, Best Book and Best Score, among others. 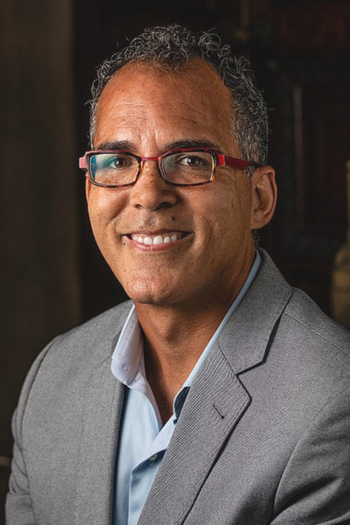 Russell Jones, President and CEO of Stamford Symphony announced Dr. Janey Choi as the first Director of Community Engagement and Education. As she joins the organization, her initial challenge will be to re-imagine the strategy for all the community and education work that the Stamford Symphony produces. Within her purview, she will facilitate opportunities for the Orchestra to engage with the wider Fairfield County communities and school systems, and bring new audiences to our concerts. Save the date Tuesday, April 9, for the sixth annual Norwalk LitCrawl, which this year will benefit Norwalk Reads. Once again the Norwalk Public Library asks for your help to further the arts in Norwalk and to celebrate April, poetry month, by reading a poem at one of our LitCrawl venues. This year’s event will also feature the announcement of Norwalk’s new Poet Laureate. Experience one of the most significant milestones in film history with a special one-night screening of To Kill a Mockingbird at The Ridgefield Playhouse on Wednesday, March 27 at 7pm. Screen legend Gregory Peck stars as courageous Southern lawyer Atticus Finch in the Academy Award-winning performance hailed by the American Film Institute as the Greatest Movie Hero of All Time. Based on Harper Lee’s Pulitzer Prize-winning novel about innocence, strength and conviction and nominated for 8 Academy Awards, watch it and remember why, “It’s a sin to kill a mockingbird.” This special Fathom Events presentation includes exclusive insight from Turner Classic Movies and is part of the Cohen & Wolf, P.C. Movie Series. The Warner Theatre will welcome the GRAMMY-Award winning band, INDIGO GIRLS, to the Main Stage on Saturday, March 23, 2019 at 8 PM. Opening the show is special guest Amythyst Kiah. Kick up your heels and tap your toes with the Lenihan dancers as they teach the fundamentals of Irish step dancing on Saturday, March 2, 2019 from 11:00-11:45 a.m. in the auditorium at Pequot Library. For ages 3+. Register at pequotlibrary.org. 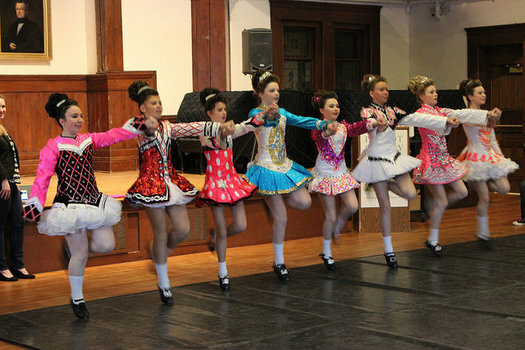 Then come back on Saturday, March 16 from 10:30-11:15 a.m. as St. Patrick’s Day traditions continue and the Lenihan School of Irish Dance troupe performs a spirited, costumed program at Pequot Library. Free and fun for all ages. Not since Cain and Abel has there been a fraternal rivalry like the one we'll see this May, when local brothers, Chris and Michael Carozza vie for the top prize in Curtain Call's Dancing with the Stars! And though things will be a lot more civil, two local doctors will be participating and two funeral homes will also be represented at this 12th annual fundraising event for Stamford's award-winning community theatre. It’s Not Just a Movie…It’s a Movie at the Warner! Get dressed in your summer best and head to the Warner Theatre on Friday, March 1 at 8 pm when WEEKEND AT BERNIE’S will be shown on the big screen, sponsored by Elevator Service Company. Doors open at 7 pm and tickets are just $5! Blue Boy Entertainment is bringing all new comedians to the Warner’s Studio Theatre for GET RIGHT COMEDY NITE starring Kareem Blue, K’Rina Fort, Derek Furtado and JT Moore on Saturday, March 2 at 8 pm! This event sold out last time, so don’t miss out! Mark your calendars to enjoy a dynamic repertoire and wide variety of musical styles performed by The New Blue at Pequot Library on February 28, 2019, from 7:30-8:30 p.m. Hear the fresh and innovative sounds of Yale’s oldest female a cappella group. From contemporary pop and rock arrangements to jazz and swing standards, New Blue’s range has something for everyone! Registration suggested at pequotlibrary.org. Tickets: $20/adults, $15/students. The Warner Theatre will welcome CIRQUE DREAM JOURNEY to the Main Stage on Saturday, March 2, 2019 at 8 pm. The Rowayton Historical Society and the Norwalk Historical Society welcomes Natalie Belanger of the Connecticut Historical Society for an unusual lecture that explores some of the oddest items in the Connecticut Historical Society's Archives. 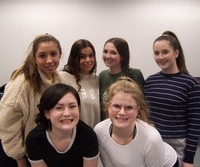 “That’s Weird” will be presented on Saturday, February 23, 2019 at 2:00pm at the Rowayton Community Center at 33 Highland Avenue in Rowayton, CT. Tickets are $5.00 for the general public and free for all RHS and NHS members. Please RSVP at: info@rowaytonhistoricalsociety.org or call 203-831-0136. Light refreshments included. In the event of inclement weather, the lecture will be rescheduled for Saturday, March 2. The internationally acclaimed United States Army Field Band of Washington, DC will continue its long tradition of presenting free public performances when it appears at the Warner Theatre on Thursday, March 21. The concert, originally scheduled for 8 pm, has been rescheduled for 7:30 pm. The Army Field Bands’ concert is sponsored by Torrington Savings Bank. Mardi Gras beads at the door and Hurricanes at the bar! Two bands direct from New Orleans – Dirty Dozen Brass Band and Cha Wa -- are bringing Mardi Gras to The Ridgefield Playhouse on Wednesday, February 27 at 7:30pm! For more than 40 years, the internationally renowned, New Orleans-based Dirty Dozen Brass Band has taken the traditional foundation of brass band music and incorporated it into a blend of Bebop Jazz, Funk and R&B/Soul. In addition to their genre-bending romps and high-octane performances, they are known for collaborations with Modest Mouse, Widespread Panic, Norah Jones and others! 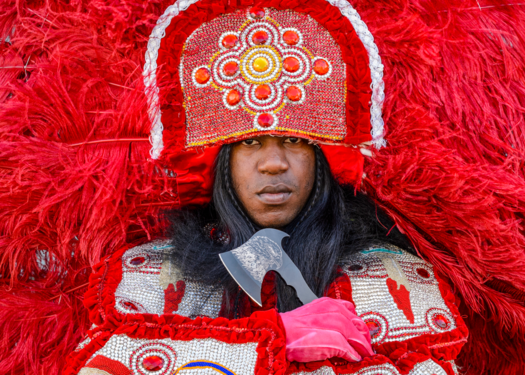 New Orleans brass band-meets-Mardi Gras Indian outfit, Cha Wa radiates the fiery energy of the best features of the city’s street culture. This show is part of Moffly Media Evenings of Art Wine & Jazz and is sponsored by Pullman & Comley LLC. Join us in the lobby at 6:45pm for a free wine tasting by Pera Wines and art exhibit by Katie Ré Scheidt (@KatieReScheidt)! Visit 850 Degrees Wood Fired Restaurant (424 R. Main Street ~ Ridgefield) for dinner before the show and enjoy a complimentary draft beer with purchase of an entree when you show your ticket! Media partner for this event is WPKN, The Real Alternative. Westport Country Playhouse will present a Script in Hand playreading of the romantic comedy, “The Cemetery Club,” on Monday, February 25, at 7 p.m. Written by Ivan Menchell, the reading will be directed by Anne Keefe, Playhouse associate artist and curator of the playreading series. Tickets are $20 each. The Lockwood-Mathews Mansion Museum located at 295 West Ave., Norwalk, CT is calling for artists for a juried exhibition entitled, Historic Grounds & Modern Gardens. The submission deadline is March 18, 12 p.m. and the exhibit will run April 11-June 23, 2019 with a reception on Thurs., April 11, 2019, 5:30-7:30 p.m. Since the 1980s, Weston High School’s theater club, “Company” has wowed audiences with both classic and contemporary shows, dramas and musicals. Emmanuel Church in Weston will host its fourth, annual “Broadway Bound: A Tribute to WHS Company.” This year’s edition will feature the cast from Company’s spring musical, The Addams Family, preceded by a short program by the Faculty of Weston Music Center. The event will take place on Sunday, February 24 in the Emmanuel Church parish hall, 285 Lyons Plain Rd., Weston, from 4:00 - 5:30 pm. It's a family-friendly outing with door prizes and a bake sale. Admission is free and the community at large is invited to attend. Donations are welcome. What are those three little words we all want to hear on February 14? Let's eat chocolate. This popular Pequot Library tradition celebrates 14 years. The Kids’ Candymaking Workshop will be held on Monday, February 11, 2019 from 4:00-5:00 p.m. Children make professional-looking chocolate treats and create gift boxes and Valentine's Day cards using construction paper, ribbons, foam stickers, shape cutters, markers, and, of course, their imaginations. Registration is required at pequotlibrary.org, and there is a $5 materials fee per child. Parental support is required for younger children. All children and their grown-up sweethearts are invited to glam-up and show off their swag during Stepping Stones Museum for Children’s early-evening, pre-Valentine’s Day soirée. Hearts will be a-flutter as the award-winning children’s museum transforms its annual Winter Wonderland Children’s Ball into the Children’s Sweetheart Ball on Saturday, February 9, from 4:00 – 8:00 pm. Stepping Stones will be rolling out its purple carpet for children and adults for a heartwarming evening of family fun and entertainment.